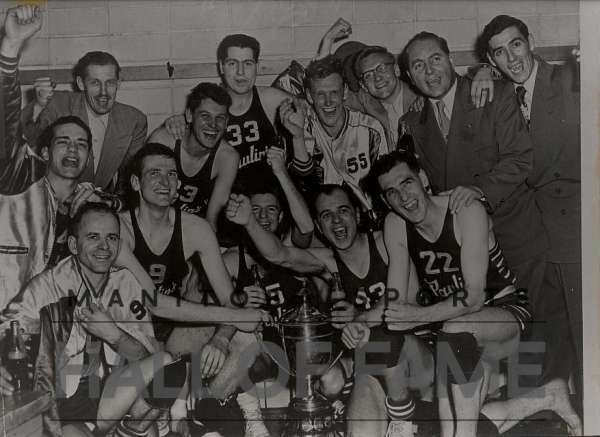 It is with great sadness that the Manitoba Basketball Hall of Fame and Basketball Manitoba announce the passing of George Oelkers (pictured above, front row #23). 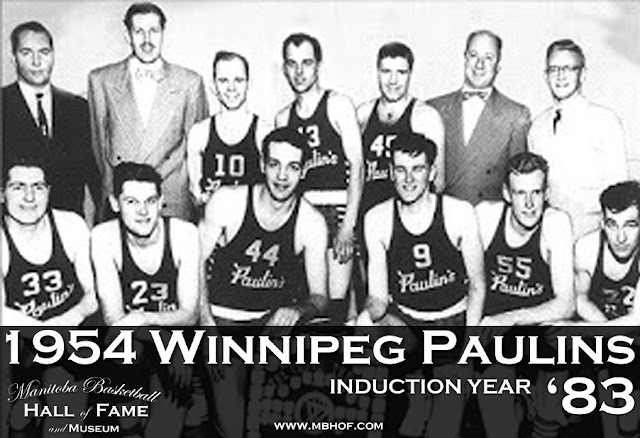 George played basketball for many years in Winnipeg and was an original member of the Winnipeg Paulins, a senior men's team which won the Canadian National Championship in 1954 and then represented Canada at the World Championships in Rio de Janeiro where they finished an impressive fifth place. 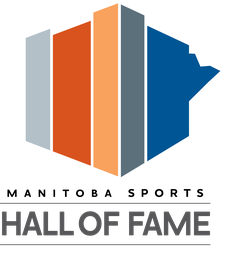 The team was inducted into both our Manitoba Basketball Hall of Fame (in 1983) and the Manitoba Sports Hall of Fame (in 1993). He and his wife, Gladys, were longtime supporters of the University of Winnipeg Wesmen teams attending games for many years and George was well-known in our Manitoba basketball community. He was a true gentleman and he will be missed by us all. 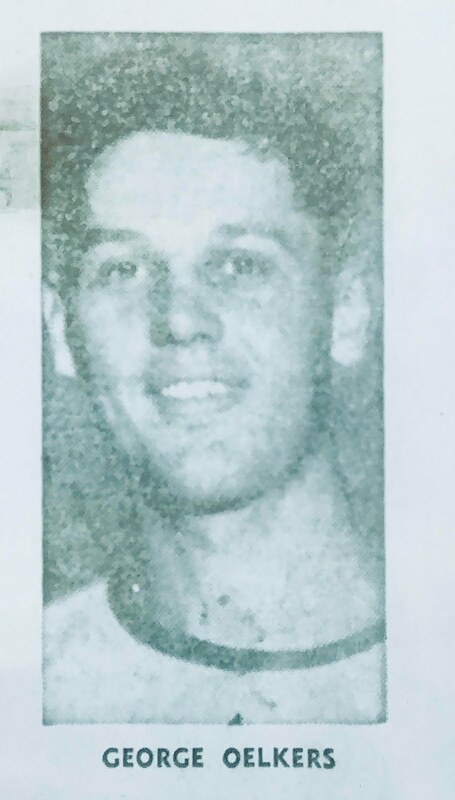 Our very sincere condolences are extended to Gladys and the entire Oelkers family. 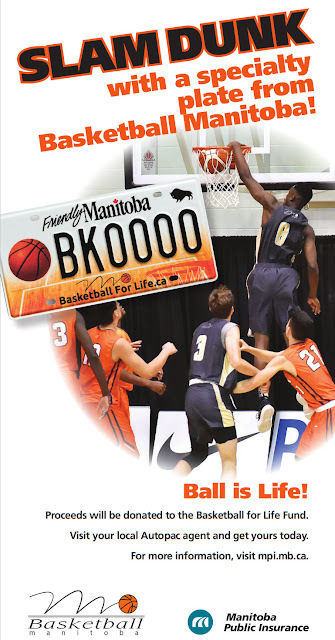 Funeral services are planned for Monday, January 22 at 11:00 a.m. at St. Peter's Anglican Church, 755 Elm Street (at Grant Ave) in Winnipeg. Back Row: Jim Bulloch, Coach; Al Carlson, Manager; Mike Spack; Andy Spack, Ken Callis; Jack Meyers, Publicity; Keith Bodley, Statistician.